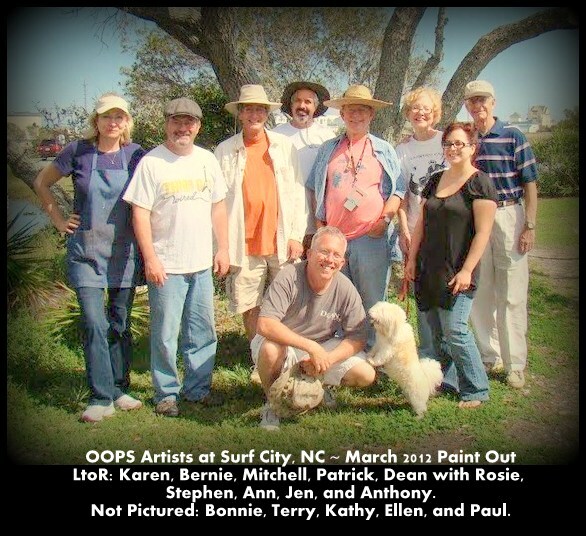 We had a great day and met some new artists in Surf City. We were lucky enough to dodge two separate thunder storms that skirted to our west. Mark your calendar now for our April Paint Out in White Lake. This will be hosted and organized by Kathy Bunn with details and directions to be posted soon. March Paint Out in Surf City... March 25, 2012.